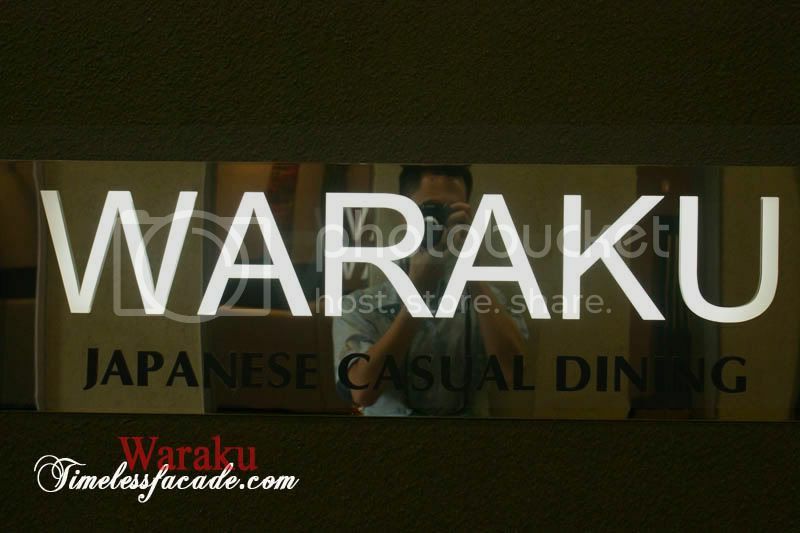 Our fourth and final stop of the tour - Waraku, a casual Japanese dining joint with quite a few outlets in the eastern and central parts of Singapore. 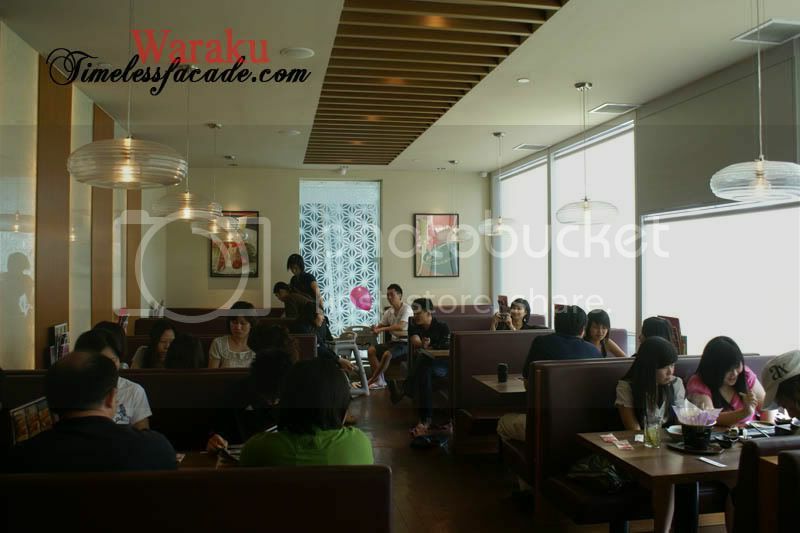 Located on the 3rd floor of Central just further down from Wakashachiya, Waraku seems to be rather popular with Singaporeans judging from the long queues that form during meal times at alot of their outlets and the relatively good comments online. 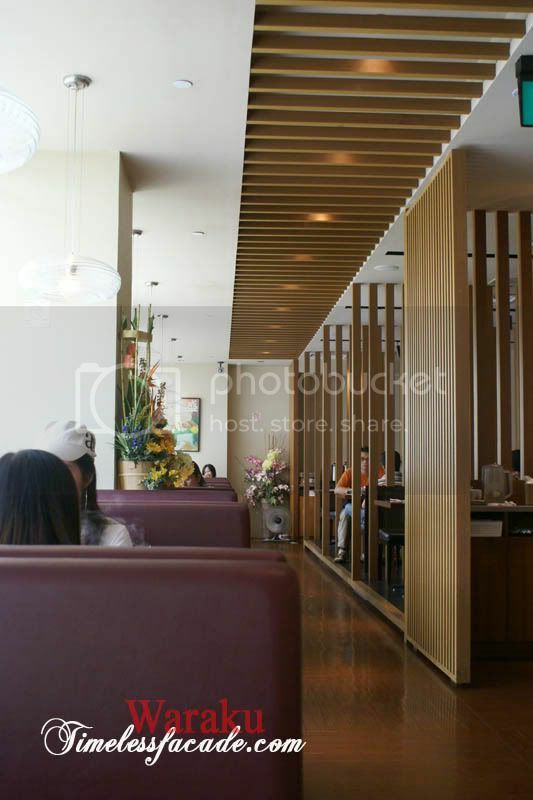 The interior at this particular outlet was decked out in shades of white and brown with wood featuring prominently in the decor. 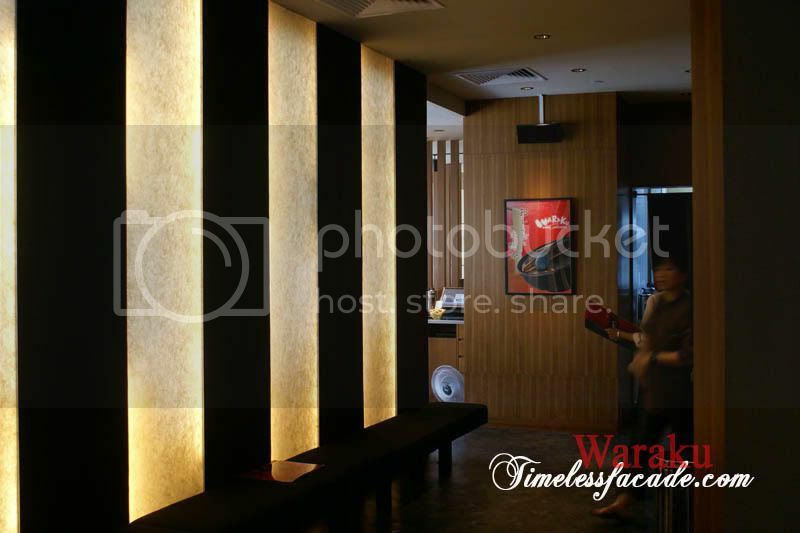 As with most of the other restaurants at Central, the window seats look out into the picturesque clarke quay for a more enjoyable dining experience. 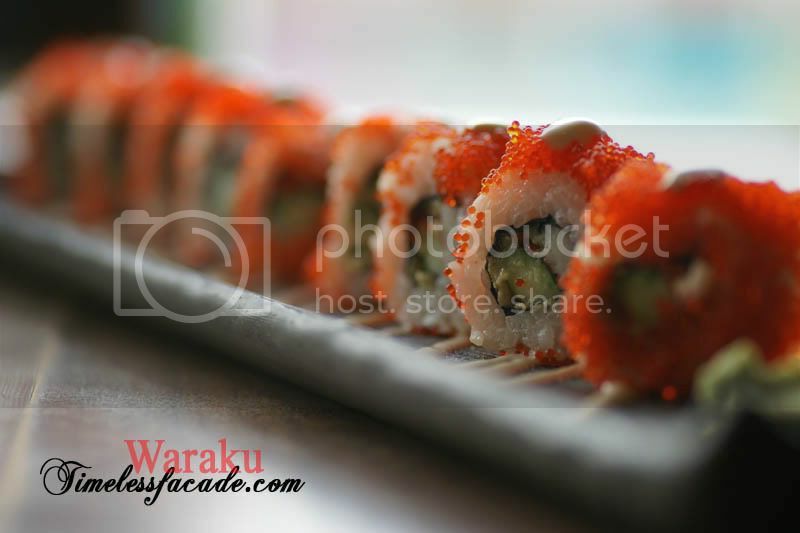 Uramaki differs from other types of maki(rolled sushi) in that the rice is on the outside and the nori(layered sheets of seaweed) on the inside. 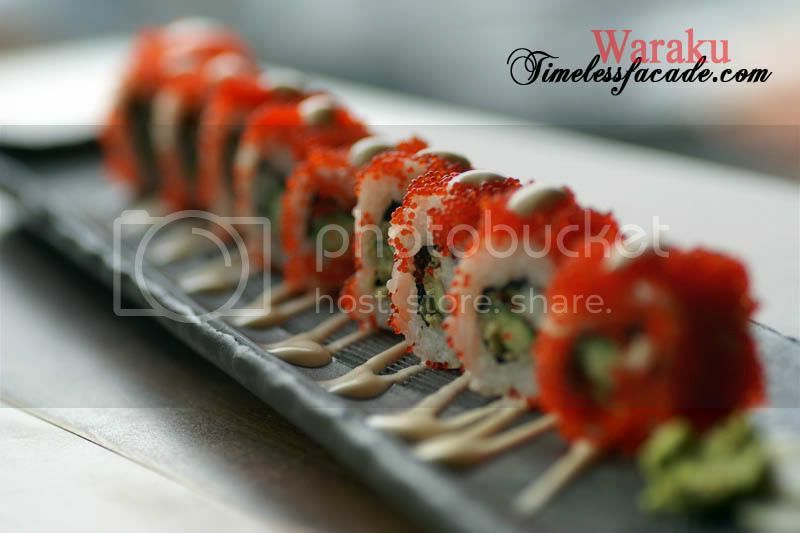 Preparation methods aside, the california maki barely made it past the average mark. The rice was a little too dry and loose and the copious amounts of roe did nothing to enhance the taste, preferring to remain as decorative pieces instead. 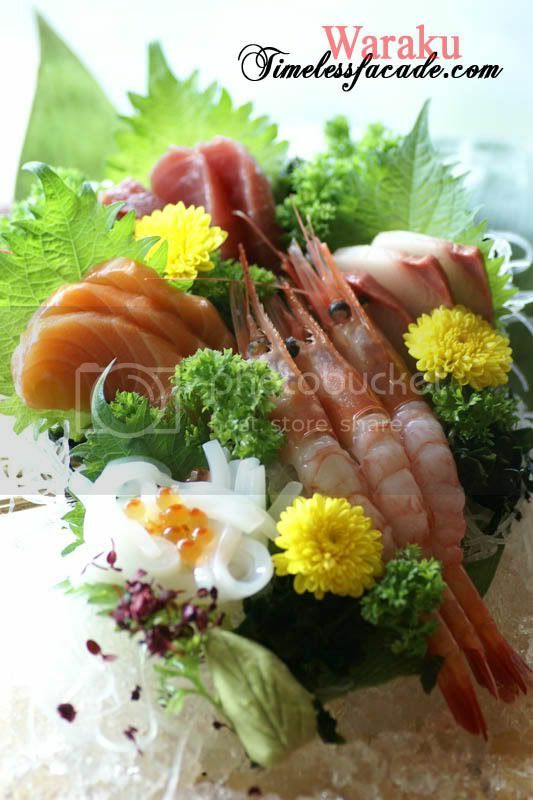 The huge platter of sashimi came with prawns, salmon, tuna, squid and yellow tail served atop a bed of ice and garnished with leaves and flowers to up the visual appeal. I don't know if the standard for sashimi is consistent throughout all the Waraku outlets but the sashimi at this particular outlet was bad. Nothing was fresh and I kid you not, I spit out the prawn and salmon as soon as I took the first bite. 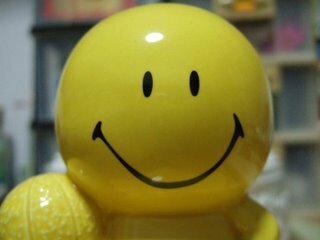 Maybe I'm just being picky and overreacting but it happens that I'm very sensitive to seafood which aren't fresh. But I wasn't the only one. Most of the sashimi was left untouched save for the polite gesture of a few pieces.